James1 ROLLO, son of George Wemyss ROLLO and Margaret WATERS, was born Wemyss, Fife, Scotland 15 Feb 1832. James died 24 Apr 1916 in North Gabriola Island, BC, at 84 years of age. He married twice. He married Christian WILSON Wemyss, Fife, Scotland, 08 Jan 1856. Christian was born Wemyss, Fife, Scotland Feb 1825. Christian was the daughter of Alexander WILSON and Margaret DUNCAN. She was christened Wemyss, Fife, Scotland, 20 Feb 1825. He married Janet (Betsy) WESTWOOD Wemyss, Fife, Scotland, 21 Apr 1862. Janet was born Wemyss, Fife, Scotland Sep 1826. Janet was the daughter of John WESTWOOD and Janet HUTTON. Janet died Bef 1891 in Wemyss, Fife, Scotland ?. She was christened Wemyss, Fife, Scotland, 24 Sep 1826. James was christened at Wemyss, Fife, Scotland, 11 Mar 1832. James's occupation: Farmer in North Gabriola Island, BC. James was listed as the head of a family on the 1881 Census in Gabriola Island, British Columbia. James registered to vote in Gabriola Island, British Columbia, 1888. James was listed as the head of a family on the 1891 Census in Gabriola Island, British Columbia. James was listed as the head of a family on the 1901 Census in Gabriola Island, British Columbia. James left his second wife in Scotland. She was invited to come to Canada but declined. The two did not get along well. The Rollo's were very proud to be able to own land. Back home in Scotland all the land was owned by the Llords. James arrived Gabriola Island, Near Nanaimo, British Columbia about 1875. Was able to read. Had a scraggily beard and did not mix much with people. Alberni-Nanaimo Assessment Rolls for 1884-5 shows James Rollo as owner of: #335: the east half of the northeast quarter of section 19 (80 acres) #341: the east half of the southeast quarter of section 22 (80 acres) The total was valued at $500.00 taxes for the year were $3.50. No livestock were listed. Aug 13, 1884 - J Rollo is listed as contributing $2.00 in aid of the widows and children of those killed in the late explosion at the Wellington Colliery. 25 Dec 1986 - Nanaimo Free press J. Rollo is listed as one of the two nominators of Colin Campbell Mckenzie as local representative in a by-election. Colin Campbell Mackenzie, proposed by David Hoggan and James Rollo. [The Hoggans were also from Fife]. 1909 - Vancouver Island Directory - James Rollo - Farmer. + 2 i. George2 ROLLO was born 12 Oct 1857. + 3 ii. John ROLLO was born 19 Mar 1859. + 4 iii. Christian ROLLO was born 22 May 1860. 5 iv. Janet ROLLO was born Wemyss, Fife, Scotland 28 Jun 1863. Believed to have died young. + 6 v. Margaret ROLLO was born 29 May 1865. 7 vi. James ROLLO was born Wemyss, Fife, Scotland 16 Jan 1868. James died Abt 1869 Wemyss, Fife, Scotland. 2. George2 ROLLO (James1) was born in Fifeshire, Scotland 12 Oct 1857. George died 09 Feb 1907 in Nanaimo, British Columbia, Canada, at 49 years of age. His body was interred Feb 1907 in Nanaimo, British Columbia, Canada, Nanaimo, Cemetery. He married Jean (Jane) (Dysart) DALRYMPLE. Jean was born Wemyss, Fifeshire, Scotland 8 Feb 1858. Jean was the daughter of George Johnson DALRYMPLE and Isabella CHRISTIE. 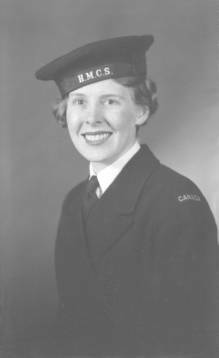 Jean died 03 Apr 1944 in Nanaimo, British Columbia, Canada, at 86 years of age. Her body was interred 5 Apr 1944 in Nanaimo, British Columbia, Canada, Nanaimo Cemetery. Jean registered to vote in Nanaimo, British Columbia, 1920. George's occupation: Coal Miner Nanaimo, British Columbia, Canada. Killed by a fall of coal in No 1 Shaft of the Protection Fail Company. Inquiry found death purly accidental. + 8 i. James3 ROLLO was born 20 Feb 1885. 9 ii. Christina Wilson ROLLO was born Wellington, British Columba 26 Feb 1887. Christina died 11 Sep 1887 in Gabriola Island, British Columbia, at less than one year of age. Nanaimo Free Press of Sep 14, 1887. Notice of the death and funeral, on Gabriola Island of an infant ROLLO girl. 10 iii. Isabella Christie ROLLO was born Wellington, British Columbia 26 Feb 1887. Isabella died 22 Apr 1890 Wellington, British Columbia, at 3 years of age. Her body was interred 1890 in Nanaimo, British Columbia, Nanaimo Cemetery. 11 iv. George Dalrymple ROLLO was born in Nanaimo, British Columbia, Canada 05 Feb 1890. George died 29 Jun 1891 in Nanaimo, British Columbia, Canada, at 1 year of age. 3. John2 ROLLO (James1) was born Wemyss Fife, Scotland 19 Mar 1859. John died 20 Apr 1939 in Gabriola Island, British Columbia, at 80 years of age. His body was interred 1939 in Gabriola Island, British Columbia. He married Helen (Nellie, Ellen) McLAUCHLAN in Nanaimo, British Columbia, Canada, 08 Jun 1892. Special to the Times Nanaimo, July 25 Mrs John Rollo of Gabriola Island died at midnight yesterday at the Naniamo General Hospital. She was sixty-four years of age, and was a native of Fifeshire, Scotland. She came to British Columbia forty-three years ago and had resided at Gabriola Island for thirty two years. She is survied by her husband, one son James at Gabriola and three daughters. Mr.s James Gallagher Nanaimo, Mrs. M. Westwood and Mrs R. Mcneill of Gabriola Island. John immigrated, 1875. Destination: destination unknown. John was listed as the head of a family on the 1881 Census British Columbia. John's occupation: Farmer in Gabriola Island, British Columbia, Canada. John was listed as the head of a family on the 1901 Census in Gabriola Island, British Columbia. John registered to vote in Gabriola Island, British Columbia, 1920. Nanaimo Free Press - Jun 9, 1892, Notice of Marriage in Nanaimo, of John Rollo and Ellen McLauchlan. Nanaimo Free Press - Birth Announcement of a daughter to Mr. and Mrs. John Rollo. Obituary - One of the largest congregations ever to assemble on Gabriola Island gathered at the family residence Sunday afternoon to attend the last rites of John Rollo well known and popular farmer of the Island for 40 years who was burned to death on Thursday last on his farm while he was engaged in clearing land. Rev. J.H. Wright of the United Church of Canada officiated and interment was in the family plot Gabriola Island Cemetery. under the direction of the Westood Hirst Funeral Home and the pall bearers all personal friends and neighbors of Mr. Rollo for many years were Robert Degnen, Dan McConvey, John Eashom, Richard Easthom, Henry Howie and Joseph Chappel. In the profusion of floral offerings a lovely pillow from the family was noticeable. John was caught in the brush fire and burned to death. + 13 ii. Annie Grieves ROLLO was born 24 Jul 1893. 14 iii. James (Jim) ROLLO was born Gabriola, Island, British Columbia 04 July 1896. James died 20 Nov 1986 Gabriola, Island, British Columbia, at 90 years of age. He married Annie Elizabeth (EASTHAM) JURIET 1968. Annie was born in Nanaimo, British Columbia 20 Nov 1898. Annie was the daughter of William JURIET and Elsa TRITES. Annie died 11 May 1978 in Gabriola Island, British Columbia, at 79 years of age. Her body was interred 16 May 1978 in Gabriola Island, British Columbia, Gabriola Island Cemetery. + 15 iv. Christina Wilson ROLLO was born 07 Sep 1898. 16 v. Helen Mclaughlin (Nellie) ROLLO was born British Columbia 19 Jan 1901. Helen died 07 May 1942 in Nanaimo, British Columbia, Canada, at 41 years of age. She married Robert McNEIL. Robert McNEIL was born 1897. 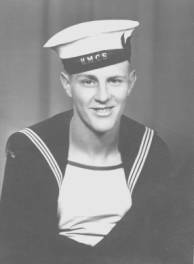 Robert McNEIL died 23 Dec 1977 Nanaimo, British Columbia, at 80 years of age. 17 i. Robert3 CHRISTIE was born on (birth date unknown). 18 ii. Margaret CHRISTIE was born on (birth date unknown). 19 iii. James CHRISTIE was born on (birth date unknown). 20 iv. Janet (Nettie) CHRISTIE was born on (birth date unknown). 21 v. Alexander CHRISTIE was born on (birth date unknown). 22 vi. Johan CHRISTIE was born on (birth date unknown). 23 vii. George CHRISTIE was born on (birth date unknown). + 24 viii. Christina CHRISTIE was born 1883?. 6. Margaret2 ROLLO (James1) was born Wemyss, Fife, Scotland 29 May 1865. + 25 i. Elizabeth (Lizzi)3 WALLACE was born on (birth date unknown). 26 ii. Belle WALLACE was born before Abt 1983, the first event for which there is a recorded date. Belle died Abt 1983. + 27 iii. Minni WALLACE was born before Bef 1990, the first event for which there is a recorded date. 28 iv. Clark Walder WALLACE was born on (birth date unknown). 8. James3 ROLLO (George2, James1) was born Wellington, British Columbia 20 Feb 1885. James died 20 Sep 1955 in Nanaimo, British Columbia, Canada, at 70 years of age. His body was interred 22 Sep 1955 in Nanaimo, British Columbia, Canada, Nanaimo Cemetery. He married Amelia (Mildred) DUGGAN in Nanaimo, British Columbia, 13 Sep 1909. Amelia was born Mountain Ash, Wales 21 Sep 1886. Amelia was the daughter of Unknown DUGGAN and Mary Louisa DOWARD. Amelia died 5 Mar 1964 in Nanaimo, British Columbia, Canada, at 77 years of age. Her body was interred 9 Mar 1964 Nanaimo, British Columbia. Amelia immigrated, 1888. Destination: destination unknown. Amelia registered to vote in Nanaimo, British Columbia, 1920. 29 i. George4 ROLLO was born Naniamo, British Columbia 31 May 1910. George died 1 Apr 1992 Naniamo, British Columbia, at 81 years of age. He married Elizabeth (Beth) BEVIS in Nanaimo, British Columbia, 5 Oct 1933. Elizabeth was born in Nanaimo, British Columbia 18 Jul 1915. Elizabeth is the daughter of George BEVIS and Ann WATSON. George's occupation: Logger Brish Columbia. 13. Annie Grieves3 ROLLO (John2, James1) was born Gabriola, Island, British Columbia 24 Jul 1893. Annie died 1 Jan 1993 at 99 years of age. She married James (Jim) GALLAGHER in Nanaimo, British Columbia, Canada, 20 Mar 1914. James was born in Gore Bay, Ontario 1878. 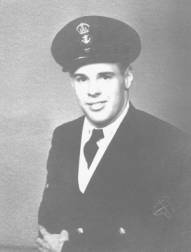 James was the son of George GALLAGHER and Maria BAKER. James died 03 Dec 1960 Ladysmith, British Columbia, Canada, at 82 years of age. James's occupation: Engineer 1914. James Grand father was working carrying bricks in Scotland on a church. When they met with a minister they had to put down the bricks and doffed their hat. The grand father ran away and went to Nova Scotia by boat. James parents were United Empire loyalists and had been offered land in Canada. His parents moved to Manitoulin Island, Ontario, James and family were farmers. James must have left in winters as he skated to Sault Ste Marie Ontario. Ashes were spread on Gabriola Island. 30 i. Helen Verna4 GALLAGHER was born 21 Aug 1914. She married Harry WARGO 31 Dec 1936 in British Columbia. Harry was born 1902. Harry died 29 Apr 1977 in Nanaimo, British Columbia, at 74 years of age. Harry's Mother and father came through Elis Island. (Czechoslovakia) Had grade 8 education. Started work at 14 in the mine, got hurt at 17 and felt that something was going to fall on him and quite mining. Worked in the lumber industry as a steam engineer and later as a log scaler. Verna and Harry had 2 children, 8 grandchildren and 17 great grandchildren. 31 ii. George Harold GALLAGHER was born British Columbia Sep 1916. George died 13 Jan 2000 in British Columbia, at 83 years of age. He married Helen UNKNOWN 1959. George left school at the end of grade 11, Worked as a mechanic. He then joined the navy. Was on the north Atlantic during the worse part of the war of the Atlantic. Worked in logging camp then bought a logging truck. Moved into commercial fishing from which he retired. 32 iii. Lillian Dorothy GALLAGHER was born Feb 1919. Completed grade 8. Worked a housemaid till 1936. Entered the navy CWREN as a cook. She served for 4 years. She continued to work as a domestic cook then a industrial cook both in the Navy and afterwards until retirement. 33 iv. Stanley Russell GALLAGHER was born 1921. Stanley died 26 Jun 1925 in Nanaimo, British Columbia, at 3 years of age. 34 v. John Charles (Jack) GALLAGHER was born 21 May 1926. He married twice. He married Doris BROOKES July 27, 1950. He married Lyle in Jan 16, 1988. Worked in the woods then went into the navy RCMVR and served two years. Afterwards worked as a long shoreman. Jack has 4 kids and 7 grandchildren. 15. Christina Wilson3 ROLLO (John2, James1) was born Nanaimo, British Columbia 07 Sep 1898. Christina died 14 Mar 1987 in Nanaimo, British Columbia, Canada, at 88 years of age. She married twice. She married Milton William WESTWOOD in Gabriola Island, British Columbia, 6 Apr 1921. Milton was born in Nanaimo, British Columbia, Canada 7 Oct 1895. Milton was the son of Milton Tilley Charles WESTWOOD and Fannie Nannette SMITH. Milton died 30 Nov 1953 Vancouver, British Columbia, at 58 years of age. Milton's occupation: Steam Engineer, Logger, Miner 1922. She married William (Bill) THOMPSON (Kelly) in Port Alberni, British Columbia, 27 Mar 1954. William was born Saskatchewan Abt 1905. William was the son of Unknown KELLY. William died 08 Feb 1976? in Port Alberni, British Columbia, at 70 years of age. Christina registered to vote in North Gabriola Island, British Columbia, 1920. Grew up on Gabriola Island, Met Husband when he was visiting the Shaws. Husband left when the children were small. Raised children on her own. Worked farming, Ran a Rooming House, Worked in plywood and house keeping type jobs. 35 i. Nannette Helen (Nan)4 WESTWOOD was born in Nanaimo, British Columbia, Canada 03 Jan 1922. Nannette died 03 Jul 1984 in Nanaimo, British Columbia, Canada, at 62 years of age. She married Ronald Dennis ROWA in Nanaimo, British Columbia, Canada, 14 Jan 1945. Ronald was born 20 Nov 1917. Ronald was the son of Charles John ROWA and Margaret KIDD. Ronald died 3 Nov 1999 in Nanaimo, British Columbia, at 81 years of age. His body was interred 8 Nov 1999 Nanaimo, British Columbia. 36 ii. 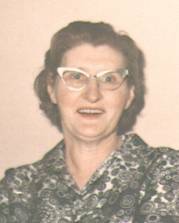 Velma Rose Westwood was born in Nanaimo, British Columbia, on the l5th March 1924. After moving to Port Alberni she was firstly employed at the plywood plant and then obtained a job with the Post Office. She married Edmund David Howard on the 2nd of July 1947 They have four children, nine grandchildren and one great grandchild. Edmund retired from Banking. 37 iii. Alma Marie Westwood was born in Nanaimo, British Columbia, on the 2nd Dec 1926. After moving to Port Alberni she was firstly employed at the plywood plant, and then obtained a job in the office of Tom Bros. Trucking. She married Thomas Miller Turner on the 11th Sept 1948. They have two children and three grandchildren. Tom retired from Contracting. 38 iv. Dorothy Rollo Westwood was born in Nanaimo, British Columbia, on the 29th March 1930. After moving to Port Alberni she was firstly employed in a Dentist's office, and the obtained a job with the telephone company. She married George Edwin Thomas Abbott on the 8th Sept 1951 George died on the 1st July 1992. They have four children, and seven grandchildren. George retired as a sales representative of Homelite Chain Saws. 24. Christina3 CHRISTIE (Christian2 ROLLO, James1) was born 1883?. Christina died 1975 at 92 years of age. 39 i. Alexander4 DARWOOD was born on (birth date unknown). He married Margaret Wallace (LEVEN). 40 ii. Christina DARWOOD was born on (birth date unknown). She married William WINGATE. 25. Elizabeth (Lizzi)3 WALLACE (Margaret2 ROLLO, James1) was born on (birth date unknown). 42 i. William4 Anderson was born on (birth date unknown). 43 ii. John Anderson was born on (birth date unknown). 27. Minnie3 WALLACE (Margaret2 ROLLO, James1) was born before (birth date unknown), Minnie died Abt 1992. She married Alexander (Sandy) WALKER. 44 i. William4 WALKER was born on (birth date unknown). 45 ii. Clark WALKER was born on (birth date unknown).